Wildfires in Northern Californian wine country have so far killed 23 people, and at least 285 more remain missing. The fires have burnt 170,000 acres and around 3,500 structures have been wiped out. For companies that insure wineries in California, this is a known peril. But it’s also much worse than what people are used to. 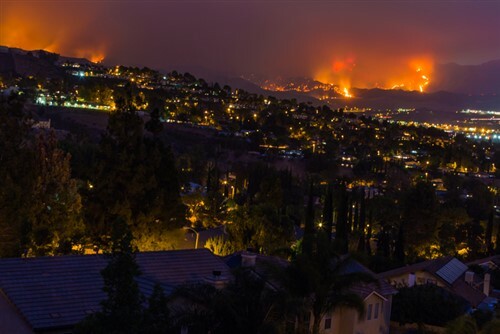 Larry Chasin, CEO of Pak Programs, an MGA in partnership with Great American Insurance Group, said claims are already flowing in from his insureds – facing business interruption, and fire damage to vines, infrastructure, and automobiles. “Fire is a covered peril under most every property policy. As underwriters we focus on wildfires in Northern California. It’s an exposure we’re aware of. So most of our efforts are focused on the hillsides … but this, this is different,” he said. There are upwards of $3 billion of grapes still on the vines in Napa, Chasin said. “And those will typically be your higher quality red wine,” he noted. Even if fire doesn’t rip directly through a vineyard, heat damage could ruin grapes and vines, and also other structures. Some of the burnt vines may grow back and regenerate grapes, while others may need to be replanted. Vines take three or more years to mature. “This region doesn’t lead in terms of quantity of production, but it’s often referred to as the top of quality. This is big business, and this is a big tragedy for this industry. It’s going to leave a big mark,” he said. The claims will mostly come from where you might expect, Chasin said. But often operations at vineyards extend further than a visitor might see. “There is huge investment in buildings, especially in Napa and Sonoma,” he explained. “There are going to be lots of structures destroyed. You have agricultural buildings, you have dwellings and guest houses, and entertainment spaces. You have vineyard infrastructure, you have trellises and vines. You have pumping stations, water treatment facilities, water tanks, all those sorts of things … and everything melts, basically.